Astoria artist Lenore Koppelman's bio: how she came to be a favorite face and body painting expert in Queens, Brooklyn, Manhattan and beyond. Who is The Cheeky Chipmunk? As a New Orleans native, Lenore was born and raised in a continuous carnival parade. As a child, she was face painted nearly every Sunday in Jackson Square. She fell in love with the bright vivid colors as the lady with the big floppy hat covered in silk flowers cheerfully scribbled Lisa Frank-inspired designs with face paint crayons on her enormous chipmunk cheeks. She told everybody she knew that she was going to be a face painter when she grew up, as well. That was the early 80's. Then adulthood inevitably descended upon her. Several boring and confining office jobs later, where grey cubicles in NYC felt like they may become her tomb, the recession struck. She was handed a severance packet along with the rest of her team. Walking out of the building into the heart of Times Square, instead of feeling panic stricken, she felt strangely relieved and blissfully reborn. Lenore could breathe again! She did that little Mary Tyler Moore spinning thingie while she sang "I'm gonna make it after aaaaalllll!!!" in front of staring onlookers, and threw her winter hat up into the air, where it abruptly landed into a puddle. But unlike the hat, Lenore did not. Instead, she went on a quest to find the true meaning of happiness. She immersed herself in reading books, studies, and watching documentaries about the science of happiness. It wasn't until 2013 when she read New York Time's best seller The Happiness Project by Gretchen Rubin that everything clicked. "Enthusiasm is more important to mastery than innate ability", Rubin explains, "because the single most important element in developing an expertise is your willingness to practice. Therefore, career experts argue, you're better off pursuing a profession that comes easily and that you love, because that's where you'll be more eager to practice and thereby earn a competitive advantage." Lenore began to ask herself what she loves. Besides her husband and their son, and watching old reruns of Fantasy Island while eating take-out on the couch. Her weeks of soul-searching brought her back to her childhood days being face painted in Jackson Square by the cheerful and bubbly lady in the big floppy hat. "I love bright happy colors. I love making people happy. I love making children giggly. I love art. I love people. So.... what if I make art... out of people?" Suddenly she was covered in goosebumps, laughing loudly as the sudden realization hit her: Her childhood dream of becoming a face painter was actually about to come true. 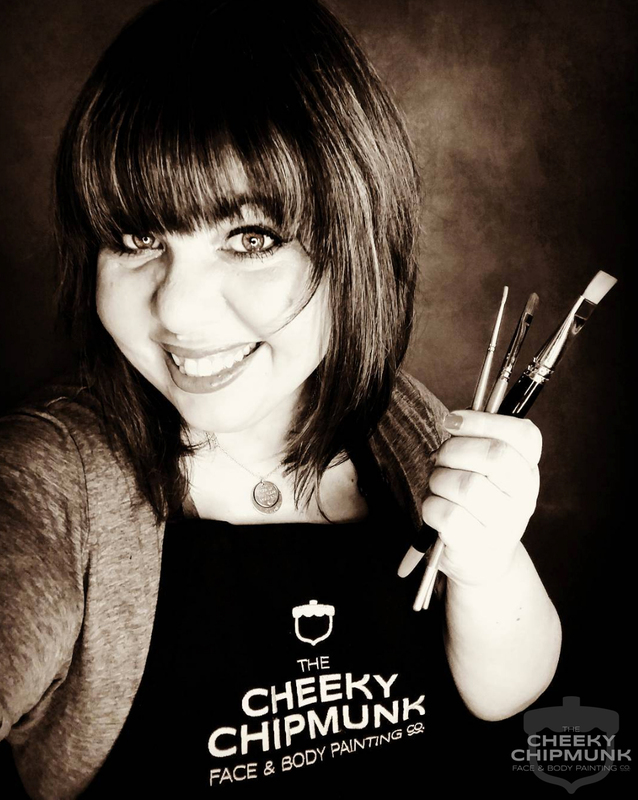 Three years later, Lenore has gone from painting awkward and unrecognizable designs on her friend's children's faces (and even making a couple of them cry at their mirror reveal), to working full time as "The Cheeky Chipmunk" in New York City. She has been published in various magazines, had spots on television, has done makeup for various short films and a popular webseries, has ventured into body painting and found a tremendous passion in maternity belly painting, and has developed a following the world over. Lenore now teaches at various face and body painting conventions all over the country, and has ventured into motivational speaking as well. She loves painting so much, that she still finds it impossible to resist the gleeful urge to practice nearly every single day. Lenore is still a devoted student, attending as well as lecturing at as many conventions and workshops as time and money will allow. She has so many techniques and skills she still needs to learn... but how to be happy is no longer one of them.